Stacey Beers - UFE Fitness Pro goes from 180 to WOW! 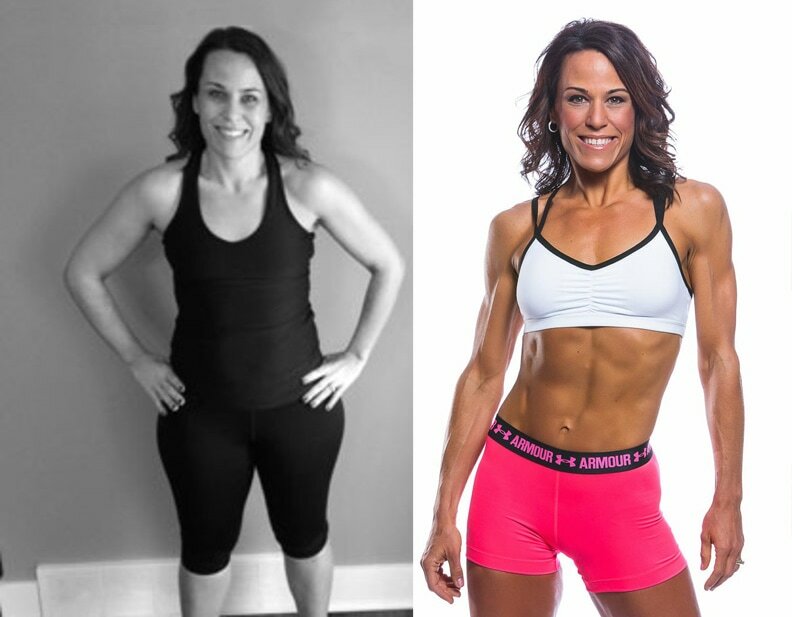 For UFE Fitness Pro Stacey Beers, it was a change in her mindset and laser focus on her goals that helped Stacey Beers go from 180 lbs to fit, healthy and absolutely amazing in just over a year! With a new found passion for training and clean eating, this mom of two has made her fitness dreams a reality! I am a 40 years old wife, mother of two teenage girls and full time employed mortgage loan officer. The last year has been a HUGE year for me. It was the year of “Me”. The year to find my fitness and clean eating way of life. Within the last year I have lost over 45 lbs by doing nothing more than eating very clean and training very hard. I am here to tell you that WE LADIES CAN DO THIS! We can have it all! But it all starts with cleaning out your cupboards and eating clean God given earth food. Drinking a gallon of water a day and working your tail off in the gym. I know we are all busy but I find that getting up at 5 am and getting to the gym is the only way for me to keep it all together. Life, kids, work – without my 5 am workout I am not able to wear my A Game face for any of my responsibilities. You have to make the time to prep food and get to the gym. In regards to my changes. My mind set had to change first. I had to get over my addiction to tortilla chips and brownies. You see I have been a vegetarian since I was 14 years old. I chose to be a vegetarian because I thought it would make me skinny. However, I lived this way for many years and I was never skinny. I over filled my hungry body with bad carbs because it was so severely lacking in protein. This just snow balled into me being overweight the majority of my teen years thru the age of 39. Last year I walked into my doctors office and weighed in at over 180lbs . I was stressed, tired, crabby, not a good mom or wife and just unhappy with myself. So the very next day I signed up for my gym body transformation challenge and NEVER once turned back. From that day on I was in it to win it and take my life over! It truly sounds so crazy but honestly it makes my heart sing prepping my clean food during the week. I love chopping an array of veggies like red cabbage, sweet potatoes, onions, broccoli and multi colored peppers and then roasting them. I re-heat these during the week for fajitas or salads or stirfrys. I also love working out and this is due to the great food I feed my body. I love getting out of bed at 5 am and starting my day with a great workout! My fitness goal is to never stop with fitness or clean eating. I am doing three fitness competitions this spring and I can’t wait to show off my new body. I have stepped it up a notch with my eating and training and I can see the changes daily in my body! Julie Lohre has helped me step it up and to her I am forever grateful. The way I feel motivates me to keep going. I said to my husband the other day , I can’t remember the last time I had a headache. I just feel so alive! There isn’t a day that I don’t want to get to the gym. (In fact, many times I have to be told to take a day off.) I want my kids to see me work hard and eat clean. It is a forever life lesson that they will take with them on their own life’s journey. I need to put my best foot forward for me and them! Julie Lohre is amazing! She has helped me to step up my game with my food and workouts for my upcoming competitions. She has taught me that eating more won’t make you gain weight. Eating more protein will allow for you to gain more strength in your workouts and in turn bring you more muscle. I came to Julie Lohre because I knew something was a bit off with my diet. I felt I looked strong but I wanted to be able to do some pull ups and just squat heavier. So she put me on 200 grams of protein and boy did my body start changing. Julie Lohre knows her stuff! I do have to laugh when I finally met her in person she asked me about how I felt on the diet plan and if I have been hungry. Um…NO! I am eating more today than I have in months. Building muscle takes a lot of food. But it is all good clean food and it makes me feel great knowing that I am giving my body what it needs. Even when I am in competition prep—I am still eating a lot! I don’t think there is a bad part to working with Julie Lohre. But I will say that she is honest with you from the start. I came to her quite lean because I was doing a lot of cardio due to still being on my weight loss mind set. She told me if I am going to compete we need to change your mind set. We need to maybe gain a few pounds of muscle. This meant eating more food, not doing so much cardio and relying on lifting heavy. So working with Julie Lohre can be a challenge for each individual and their journey. But in the end we all want the same result to look and feel our best! And Julie Lohre’s passion is to help you find your healthy life style and what works for you! Ultimate Muscle Protein from Beverly International (ALL FLAVORS). It is so versatile. My favorite is egg whites, oats and UMP protein powder pancakes with a few blueberries thrown in the batter. And sweet potatoes. I just LOVE sweet potatoes. I eat them daily and I am pretty sure that soon I will be turning orange! But they are a fantastic slow absorbing carb and a staple in my diet! 1. Use Julie Lohre as you trainer to help you with your diet and working out. For me a trainer is important to hold me accountable. Even today 13 months into my journey accountability is key! 2. Log your food. Once again I am on day 410 of logging my food. Yes, I know what I am eating day in and day out. But knowing I have to log my food helps me to stay strong at resisting a cookie. Who wants to waste calories on that?